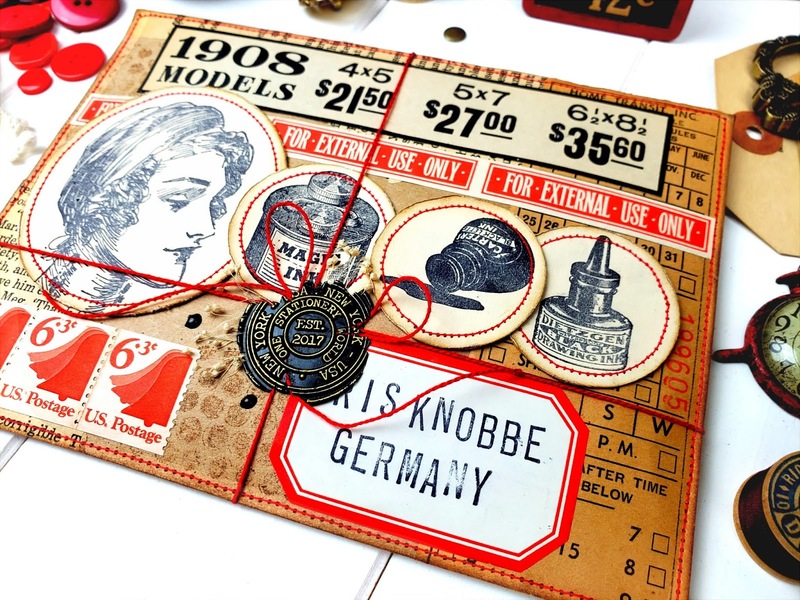 I made this happy mail for a friend in Germany, I chose these particular ink stamps because I love writing letters to my friends with fountain pens, just like in the old times. I stamped the images onto coffee dyed paper, cut them into a circular shape and sewn them. 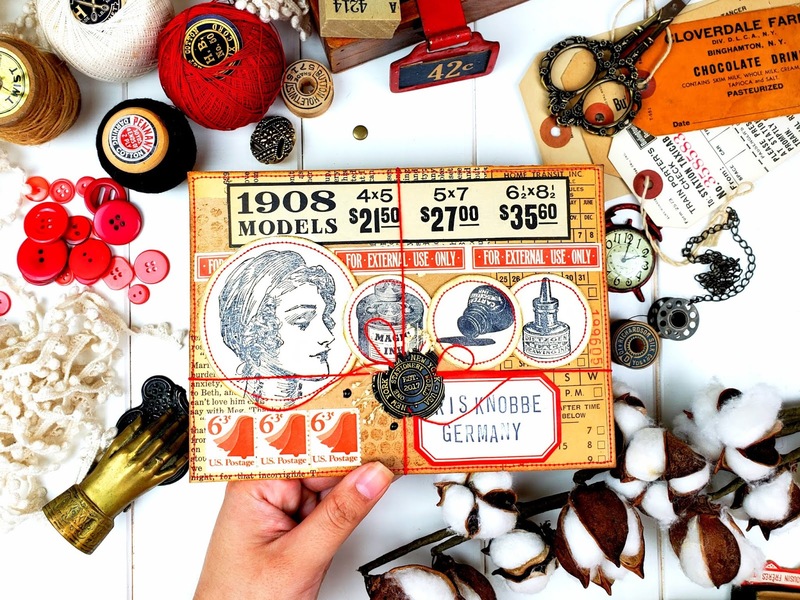 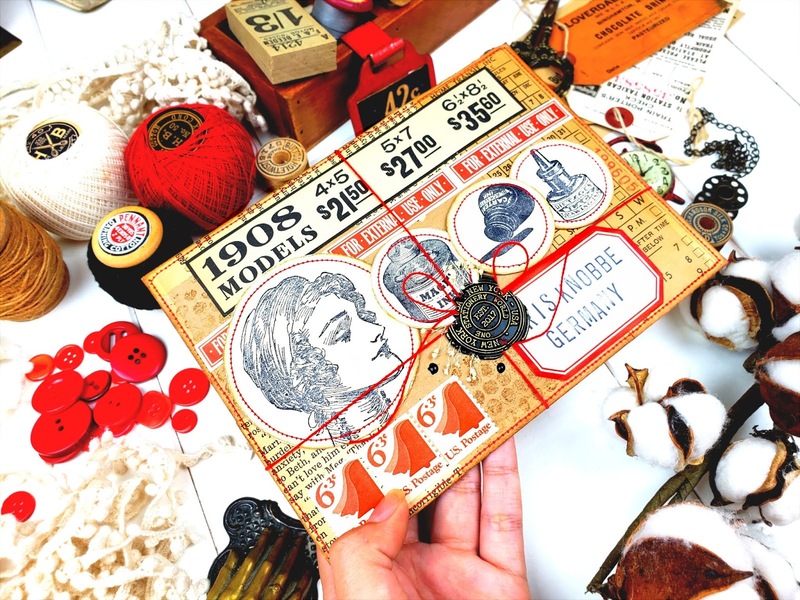 I also used brown distress ink, the bubble wrap texture stamp for the background and some authentic vintage ephemera to add more texture and eye candy. I love the texture and tri-dimensional look! 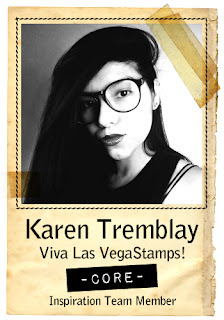 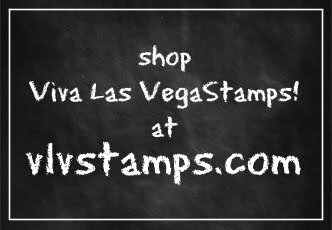 I hope to provide some inspiration for you today and new ideas to use your viva las vegastamps!